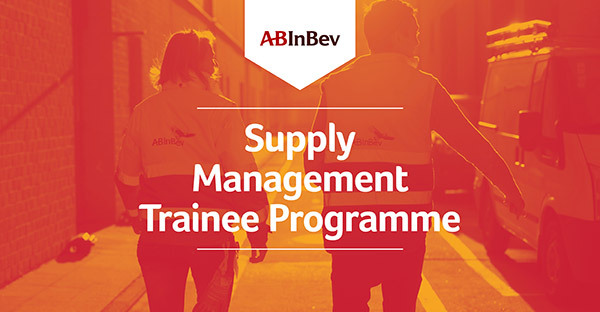 Werken bij AB InBev - Traineeships, stages en starters vacatures! Anheuser-Busch InBev is a publicly traded company (Euronext: ABI) based in Leuven, Belgium, with American Depositary Receipts on the New York Stock Exchange (NYSE: BUD). It is the leading global brewer and one of the world’s top five consumer products companies. Beer, the original social network, has been bringing people together for thousands of years and our portfolio of well over 400 beer brands continues to forge strong connections with consumers. Anheuser-Busch InBev’s dedication to heritage and quality originates from the Den Hoorn brewery in Leuven, Belgium dating back to 1366 and the pioneering spirit of the Anheuser & Co brewery, with origins in St. Louis, USA since 1852. Geographically diversified with a balanced exposure to developed and developing markets, Anheuser-Busch InBev leverages the collective strengths of its approximately 155,000 employees based in 25 countries worldwide. In 2013, AB InBev realized 43.2 billion USD revenue. The company strives to be the Best Beer Company Bringing People Together For a Better World. We have three different graduate programs and one internship program. All of them offer support and structured development. The graduate programs are specifically tailored to leadership in our general management, supply and commercial functions. Each of them offers different routes into the highest levels of our management team – and many of our senior staff started on one of these training programs. Learning business from the inside out, you’ll grow your business thinking by taking on different roles with some of the biggest brands in the world. In fact, you might even exceed your own expectations. Graduate program candidates should graduate (before September 2017) with a Bachelor, Masters (or equivalent) degree in the relevant disciplines (see our website). For interns, you should be in your penultimate year of study, studying for a Bachelor, Masters (or equivalent) degree.